Going up towards the plateau of Monte Poro, 10km from Parghelia, we reach the village of Zungri. 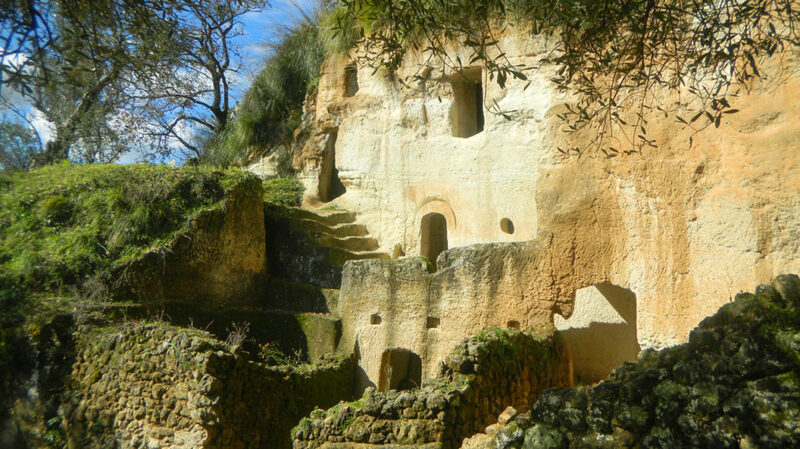 From the heart of its historical centre, a little path leads us to the rupestral settlement of the Sbariati – an urban hamlet of roughly 100 grotto-houses dug into the rock between the twelfth and the fourteenth centuries. The caves occupy more than 3000sqm and the interiors and the water system, which are still visible today, conjure up images of the way the inhabitants used to live in the past.